Formalizing the model for “Apps” in the information and service ecosystem has kept the team quite busy. In the recent discussions about “How is The Ball platform related to the services?” we came to quite a good explanation of the whole concept. While the blog has been silent for way too long and we’re still polishing the whole concept I wanted to share few images, that might make sense to those already familiar with “The Ball” (for those NOT familiar, but interested, “The Ball” is described in previous handful of posts starting from August 2012). “Apps” running in security context sandboxes. Cross integration and trust management between the providers, all within control of the user. This image is first one in the series describing the SOS overall and comparing it to traditional “siloed” digital service environment. In this model the integrations are controlled and driven by the user, service and “App” providers are to provide the model-compatible services and converters to enable plugging. 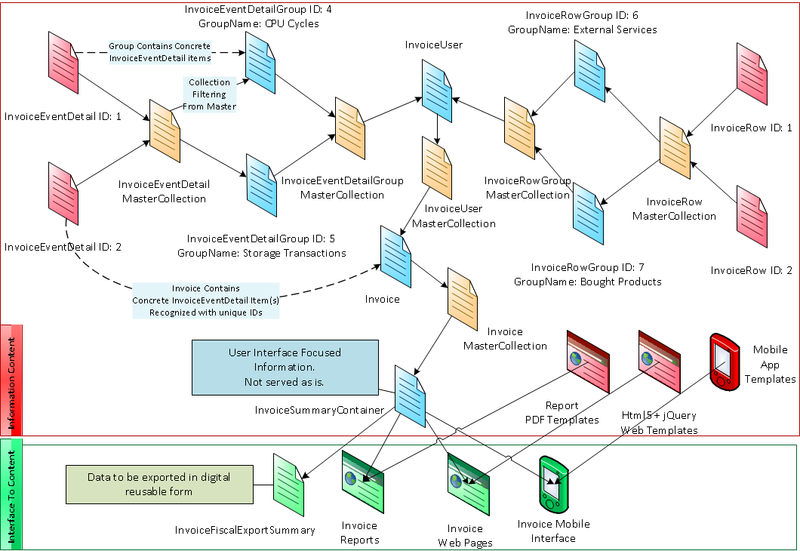 Another topic that we’re going to better cover is information flows within the processes and implicit master information management that is supported by the core SOS engine. The master information flows are supported within security contexts and between separate contexts with active “push” type subscriptions and “pull” type monitoring. I’ll cover both the areas with better concrete examples on the running platform soon(ish). The master information management is already in full-action on the current building of “Open Innovation/Collaboration Platform” and we’ll properly aim to demonstrate it with resource level monitoring and cost-based billing on “Apps” running on the platform. Kalle & the rest of “The Ball” team! That goes into a nice direction. However, to solidly “formalize”, I would rather suggest to use CPN Tools (http://cpntools.org/) while interface definitions of CPN-modules could be performed using your approach of git-instances that reference each other while these instances comprise XML-based method&data-specifications. For the latter you have then those nice open-source tools for rapit code-translation. Thanks for bringing that service-connectability approach up! The discovery services and their logic are definitely important “user-space” services, such as catalogue and trust management services. Depending on all the way to individual preferences, each user and group can have their own unique combination of service providers and “The Ball” instances running SOS. Thus, human action is fully served and accurately so with delivering information that allows for background checking using mashups in an electronic collaboration setting as I propose in my BPaaS-HUB paper (http://www.computer.org/csdl/proceedings/srii/2012/4770/00/4770a293-abs.html). Thus, in a socio-technical collaboration setting using service-oriented cloud computing, those 2 orthogonal trust-dimensions must be considered in their distinct correlation. Note that human action is mathematical in a sense that it coincides with discrete system behaviour, e.g., WF-nets (http://woped.ba-karlsruhe.de/woped/index.php?id=7).